The Honda VT600CD is a motorcycle produced by Honda from 1988 to 2007. 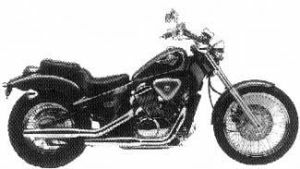 The VT600CD'93 Shadow VLX Deluxe was sold in 1993 and was available in one color: Pearl Coral Reef Blue with Black. The bike had a two-tone paint work. The seat had a button-tuck 2-piece design. The engine cases and valve covers were chromed. 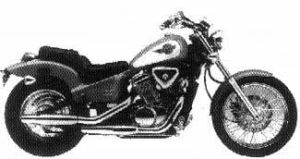 The handlebars were wider and reshaped. The serial number began JH2PC213*PM000001. 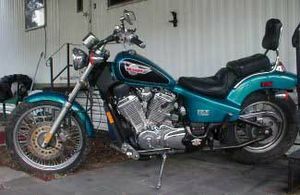 The VT600CD'94 Shadow VLX Deluxe was sold in 1994 and was available in one of two colors: Red with Pearl White or Teal with Pearl White. The serial number began JH2PC213*RM100001. The VT600CD'95 Shadow VLX Deluxe was sold in 1995 and was available in one of two colors: Candy Burgundy with Pearl White or Pearl Purple with Pearl White. The gas tank was redesigned. The "SHADOW" tank logo was redesigned. The serial number began JH2PC213*SM200001. 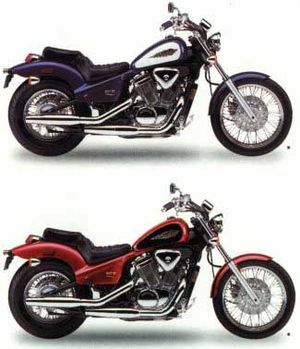 The VT600CD'96 Shadow VLX Deluxe was sold in 1996 and was available in one of three colors: Red with Black, Black with Pearl Mint, or Pearl Purple with Pearl White. The serial number began JH2PC213*TM300001. 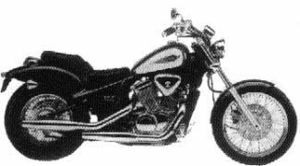 The VT600CD'97 Shadow VLX Deluxe was sold in 1997 and was available in one of two colors: Magna Red with Pearl Classical Cream or Black with Pearl Shinning Yellow. The serial number began JH2PC213*VM400001. 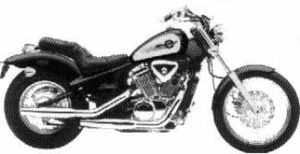 The VT600CD'98 Shadow VLX Deluxe was sold in 1998 and was available in one of two colors: Black with Pearl Jade Green or Ocean Gray Metallic with Black. The foot pegs were solid aluminum with wide rubber trim bands. The serial number began JH2PC213*WM500001.